When you look good, you feel better. Hair Cuttery is donating over 57,000 haircut certificates to domestic violence victims, so the the budget salon chain gets this simple human tenet. This year, the certificates are redeemable not only by women, but also by men and children. "Our stylists love to give back," Dennis Ratner, CEO and founder of Hair Cuttery, said in a statement. "Through the Share a Haircut program, we are able connect with those in need and raise awareness about an important issue." 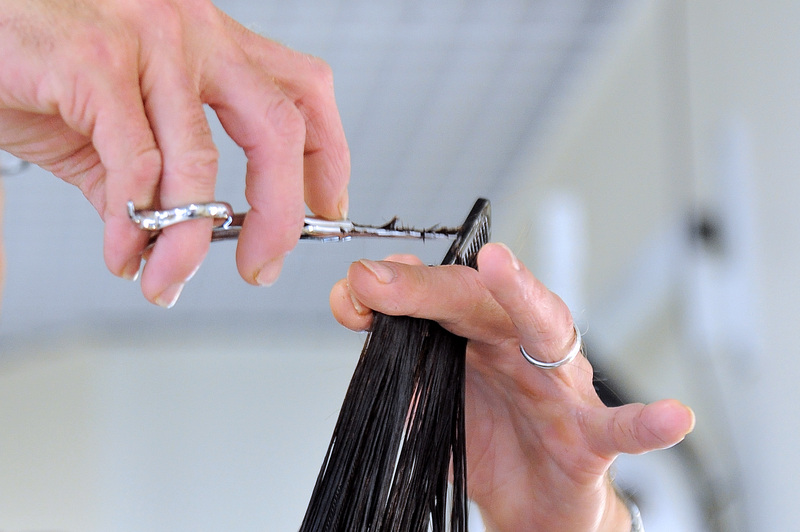 Hair Cuttery is partnering with The National Network to End Domestic Violence, releasing 57,626 haircut certificates, valued at nearly $1 million. This year's campaign surpasses last spring's total, according to the press release. Onward and upward. While you might be tempted to think that survivors of such domestic abuse have way, way bigger concerns than their hair, I personally couldn't disagree more. People in abusive situations often think (or are told) that they are ugly and thus feel worthless and unattractive. And it's true, they may not have time or money to spend on basic things like a haircut. That is why this initiative is so powerful, since it allows for "me" time and for survivors to feel good by investing in themselves. Here are the three reasons that this initiative is of such critical importance. Something as simple as an act of grooming or a haircut can make a domestic violence victim feel like they are indulging and that, in and of itself, makes them feel better. There is nothing wrong with feeling happy about freshening up your locks. A domestic abuse survivor could be starting his or her life over, and doing something like looking for a job or a new place to live, so putting some time into their looks (and locks!) can also help that endeavor, so an excellent first impression is made. That's the world we live in. The certificates are distributed to state and local organizations, as well as shelters in communities local to Hair Cuttery's nearly 900 salons. So it helps the members of the community, namely those running salons and providing the haircuts, support their neighbors who are going through a tough time. It is such a passive way to do good. Applause, applause for Hair Cuttery for this initiative.